Friday February 1, 2019 another angel unexpectedly earned her wings. Marlene Margaret McKenna nee Diederichs of Rothschild, WI was a wonderful wife, mother, grandmother and friend. She was born in Manitowoc, WI on December 18, 1935 to Harry E. and Violet O. Diederichs nee Behnke. She graduated from Lincoln High School in Manitowoc on June 9, 1954. Marlene married Daniel H McKenna on April 21, 1956 in a 4:00pm candlelight ceremony at First German Evangelical Lutheran Church in Manitowoc, WI. Later they honeymooned in Canada and Niagara Falls. This year they would have celebrated their 63rd anniversary. Marlene worked at the Wisconsin Aluminum Foundry Company of Manitowoc. Later she stayed home to raise her three children until they were all in school. 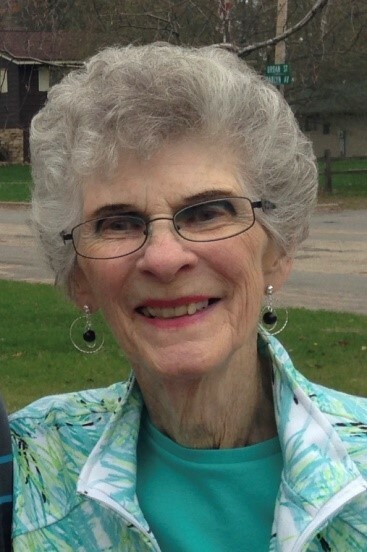 She also worked as a secretary at Enno Foods in Merrill, WI and then at Betz Laboratories in Weston, WI, until that business moved out of state, resulting in her early retirement in 1983. Marlene and Daniel often wintered in Florida as she loved the warm weather and the peace of being at the ocean. They also traveled to Hawaii for their 25th and 50th wedding anniversaries, in addition to vacationing in Mexico, Branson, MO and taking a driving vacation through many western and southern states. Marlene liked to bowl, snowmobile, play poker, bridge and Sheepshead. However, most of all Marlene loved to host parties and entertain friends, making new hors d’oeuvre recipes for all to enjoy. 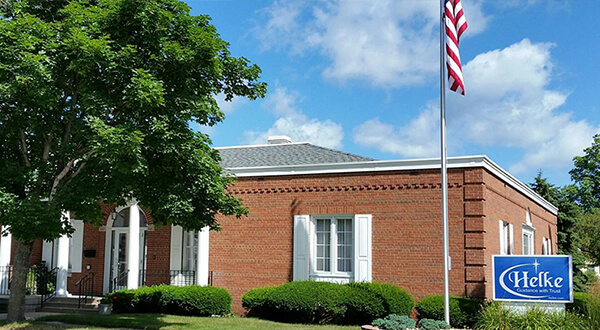 Marlene was a member of the Women of the Elks and Red Hat Society. She was well known and liked by many patrons and staff at her favorite place, The Palm’s Supper Club. At home she enjoyed reading and loved to watch the birds and squirrels as they came to feed at their always full feeders. Marlene leaves behind her beloved husband Daniel. They had three children together: Kevin (Andrea) McKenna of Gleason, WI, the late Kim (Casey) Jones of Rib Mountain, WI and Diane (Nick) Christensen of Racine, WI. They have 8 grandchildren: Kevin II and Travis McKenna, Heather (Stephen) Pfohl nee McKenna, Gwendolyn (Chase) Paul nee Jones, Owen (Jenna) Jones, Catherine (John) Avis nee Christensen, Veronica (Landon) Carus nee Christensen and Ryan Christensen. They also have 3 step grandchildren; Jennifer (James) McKenna-Sims nee Schmidt, Lynn Schmidt and Alexandre Tweedie, as well as 14 great grandchildren and 1 great great grandchild. Marlene was preceded in death by her parents, her step father Frederick Ansorge, her only sibling Jerry (Judy) Diederichs and her daughter Kim Jones. Funeral services will be held this Tuesday February 5, 2019 at Helke Funeral Home located at 302 Spruce Street, Wausau. Visitation is from 5:00pm to 6:00pm with the service at 6:00pm. In lieu of flowers, the family suggests donations to the Kim Jones House, an orphanage in Tanzania. Checks should be written to “Foundation for Hope in Africa” and specify the Kim Jones House, or donate here: bit.ly/KimJonesHouse.